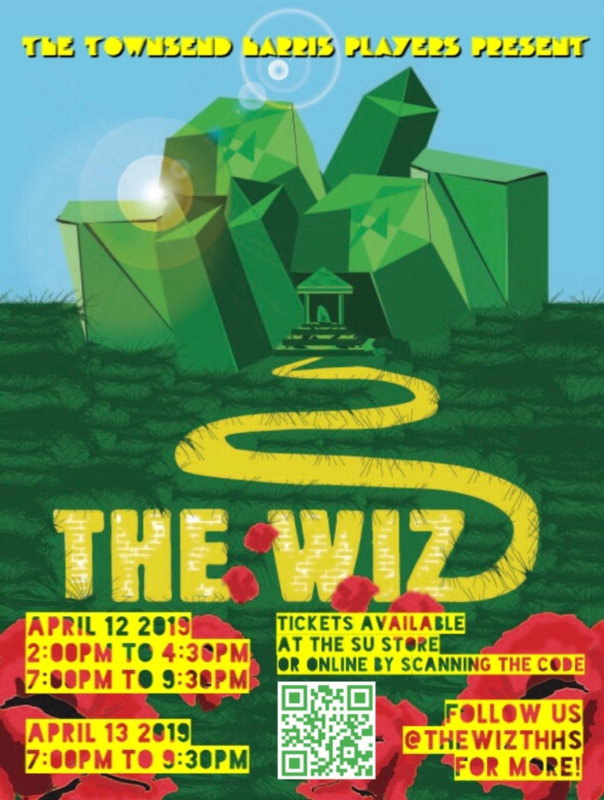 The Wiz is a modernized version of the timeless tale of The Wizard of Oz that draws its musical inspiration from R&B, pop, disco, soul, and ragtime, so get ready to tap your feet as you travel alongside Dorothy and her friends through the wonderful world of Oz. This year's musical will also feature, for the first time, a student pit band that'll grab your attention right from the overture. If you prefer, tickets can also be purchased in the SU Store. If you have any questions, feel free to reach out to Mr. Ryan Dunbar (rdunbar@townsendharris.org). See you there!